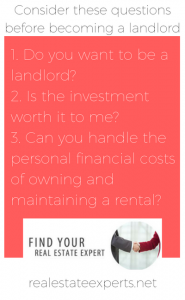 So, you want to become a landlord? Welcome to Club Landlord! Turning your home into an investment property surely has some benefits. 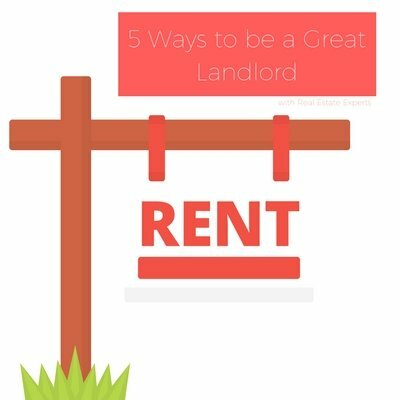 To reap the benefits of owning a rental property, it’s important to be a great landlord. Follow these five steps, and you’ll be thriving as a landlord in no time. Vacancies are a headache. They’re a landlord’s most common stressor, but vacancies are completely unnecessary. With excellent marketing, you’ll find vacancies in your investment property less and less. What does excellent marketing mean, in terms of rental properties? Excellent marketing means knowing what the maximum price for a rental property might be. It also means attractively presenting the property by showing its best advantages and strengths. Getting the listing out in front of as many people as possible is another important point of marketing a rental property. 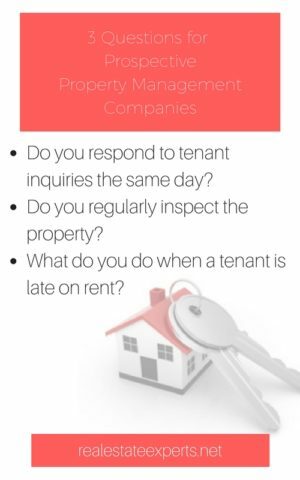 You will also want to be sure to answer inquiries on showing the home promptly; prospective tenants love a responsive landlord. 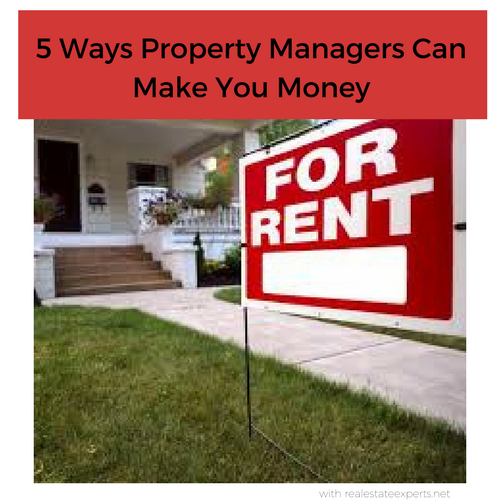 Speaking of tenants, you’ll only want to rent your property out to the right tenants. Beginning with excellent marketing, there’s a process to getting the right tenants. This process includes thoroughly vetting applicants, including credit checks, criminal background checks, income verification, and reference checks. By doing these things, you’ll ensure your investment property is housing the right tenants. Having the right tenants means you won’t have to worry about the condition of your property (as much). Even so, you’ll want to protect the value of your asset. Choosing the right tenant means choosing someone who will take good care of your property. Preserving the investment property continues with regular inspections, and prompt maintenance when needed by skilled, trustworthy contractors at a good price. Automatic drafting, online payments and receipts are a baseline of convenience for both you and your tenant. Proper trust accounting on security deposits keeps you on the right side of the law. Rent reminders and immediate follow-up on any late payments ensure that you always get paid. Lastly, thorough bookkeeping allows you to capitalize on the matchless deductibles allowed on rental property, turning tax time from burdensome to profitable. 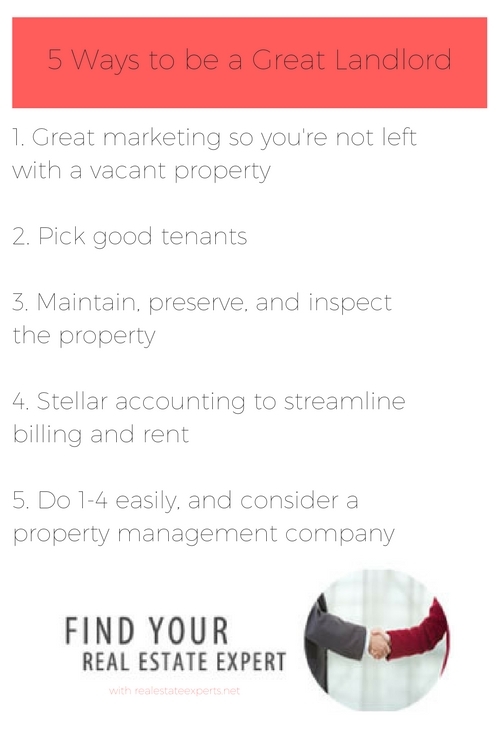 There’s only one way to do all of these things easily, and that’s to hire an excellent property management company, that you trust explicitly, to do them for you. Seal the deal on an effective and less stressful rental is to find a property management company. The good news is that a property management company would have your back. 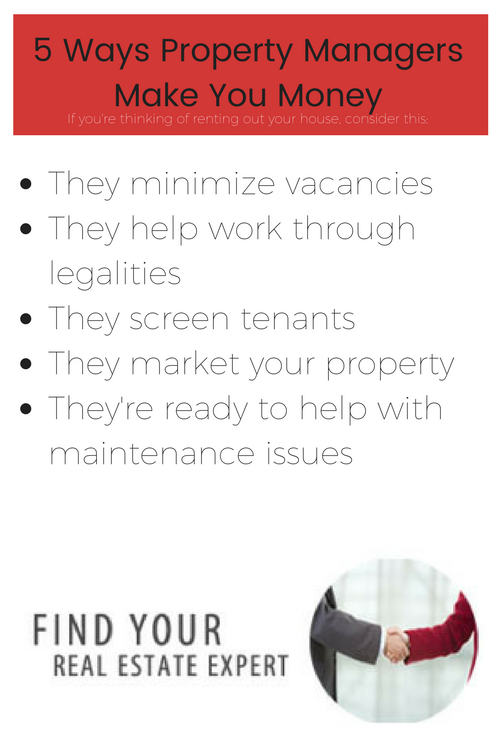 At Real Estate Experts, we offer property management services that would fit your every maintenance, property service, and management your rental needs. Our property management team is ready to hear from you if you’re looking to turn your home into a rental or investment property. When you’re relocating, many people assume this means they need to sell their home. Of course, you want the money your home is worth so you can pour it into your new home. But is this truly your only option? In some cases, there’s another option. Consider renting out your home! Maybe you’ve had your house on the market for a while, but you haven’t gotten any bites. Maybe you need to move quickly, and you haven’t had time to market your house properly. Whatever your reasons or your situation, there are benefits to renting your home out. We know real estate is a good way to make income, make investments, and boost your wealth. All three things sound pretty great, right? Some people use the equity they’ve built in one house and use it against their next. Buying a house is an incredibly large expense, so it makes sense you might want to use what you’ve built in one house to pay for the next. The option of investment stands, though. You can turn your home into an investment property, reaping the benefits of the added income renting the home brings along. Turning your home into an investment property surely has some benefits. For starters, you may be able to get better interest rates for your mortgage. You can try talking with several mortgage lenders to find one who will work with you in your individual situation and help you make a financially responsible decide with your property. You also have the knowledge of potential renters because you’ve lived in the area for a while. At least, for some period of time. You know to market your property, you know it’s strengths and weaknesses, and you can help your favorite real estate professional get to know the property better, too. you wait until the property is rented out, it’s entirely possible more expensive repairs can be written off with the help of whoever your financial consultant may be. 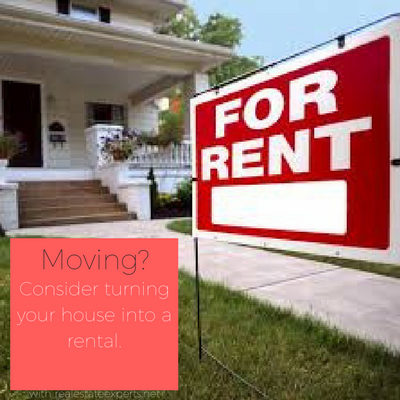 So, you’re thinking of renting out your home? Welcome to Club Landlord. There’s work involved here which doesn’t involve extra income. Instead it involves some challenges like finding tenants, finding good contractors, late payments, and more. Maintenance can be difficult, especially when you’re not around to witness the scenes or situations requiring maintenance. Not to mention, there is a financial cost associated with owning a rental property. There are times when your property will be vacant. There are times when your property will be damaged, or otherwise. 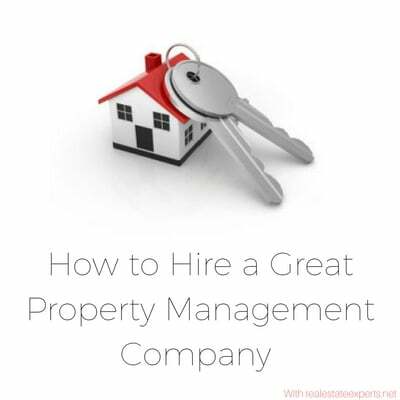 One way to seal the deal on an effective and less stressful rental is to find a property management company. Most people aren’t familiar with the option to rent-to-own homes, instead more are familiar with rent-to-own appliances. Like leasing a car to own, you can rent a house to own. Let’s break down rent-to-own agreements, and how they benefit both the seller and buyer. 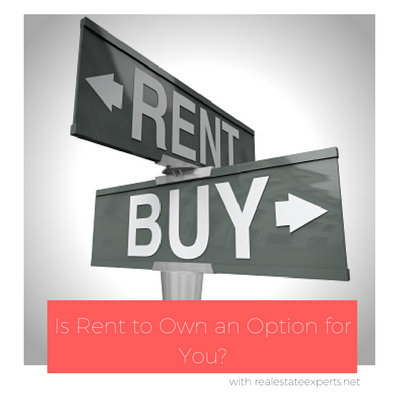 Rent-to-own homes are similar to car leases that end in ownership. The seller of the house gives the renter or tenant the option to buy the property sometime in the future. The time of sale is typically one to three years in the future with the price agreed upon at the beginning of the contract. Essentially, the lease agreement on the rent to own home is the same as a standard lease but there’s a very important addition. This addition is termed “option money” which is the money tenants/buyers can use against the house in the future. Option money might be anywhere from 15-20% of the rent fee for the house. So, if you’re renting a house that’s priced at $1200 per month, you’d be paying $1440 per month, with the additional $240 going toward the purchase of the house at a later date. Your rent money works for you, here, because it acts as a credit which will reduce the final purchase price of the house. Rent-to-own contracts aren’t one size fits all, but there are a handful of purchase terms you can expect to be present. Option money: this is a one time fee that allows a buyer to purchase the house in the future. Some contracts present this as an option for tenants to purchase later on, but not an obligation to do so. Purchase price: the price of the home will surely be in the contract of the rent-to-own agreement. The seller will determine the price. Rent: payment for the monthly fee of renting the house will be determined in the contract, too. Rent in a rent-to-own situation is typically higher than what the rent would normally be, but that’s because the buyer is putting money away to purchase the house later on. Maintenance: it depends on whether the seller or buyer will pay for maintenance costs. This will surely be determined in the contract. The potential buyer may be responsible for maintenance, repairs, and association fees or insurance. It’s also possible the seller will retain responsibility for these things, though the buyer will need renter’s insurance. Purchasing the property: at the end of the lease or agreement, the buyer can purchase the house or opt not to purchase it. However, should the buyer decide not to purchase the property, they do have to give up the money paid until that point in time. Should they decide to purchase the property, the end of the lease is the time to do so. They can then apply for financing and finally purchase the home! 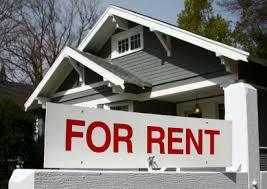 Of course, there are advantages for the landlord in rent-to-own situations. For one thing, sellers and landlords of rent-to-own homes have the benefit of long-term renters. Anyone entering into a rent-to-own agreement will be around for a while; after all, they’re putting money down on the house. They’ll want to stick around, at least for the terms of their agreement. Remember, that’s around one to three years, so the landlord is guaranteed a revenue stream at the very minimum. On the subject of a revenue stream, landlords also get the added benefit of no gap-time between renters. Since the tenants are hoping to purchase the house at the end of their lease (or they have the option to), landlords don’t have to worry their property will be left vacant for long periods of time. What’s more? They know the tenants are motivated renters, which is to say their behavior as tenants will be top notch. If you’re thinking of renting out your home, Real Estate Experts would be happy to discuss how we manage properties and our fees. We pride ourselves on being different and providing services that go above and beyond. Being a tenant in a rent-to-own home isn’t without benefits, either. Rent becomes an investment, for one thing. 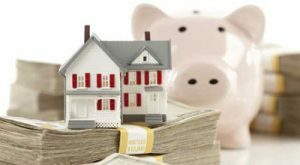 Your money begins to work for you because you are actively saving towards the purchase price of the home. Poor credit history may not be an issue, either. Even if you have bad credit, a rent-to-own agreement gives you the flexibility to build up your credit, and repair bad credit. As there isn’t a finance company or bank involved, credit becomes less of an issue. You also build equity towards home ownership, which is valuable of course. There is a one very important thing a buyer needs to know. There are no real estate forms for a rent to own homes, or a lease purchase, situation. Because the agreement can be tailored to whatever the buyer and landlord negotiate, this contract has to be drafted by a Real Estate Attorney. This is done at the buyers expense unless you can negotiate something with the landlord. Determining if rent-to-own is the right choice for you can be difficult, but it doesn’t have to be. Working alongside a great real estate professional can help you decide if the property is a good investment. With a professional’s help, the rent-to-own agreement will be thorough and all details will be ironed out carefully. At Real Estate Experts, we are fierce representatives for our clients and known as expert buyer agents. Contact us and see how we can help you find just the home you are looking for. To see Real Estate Experts’ newest listings, click here, and feel free to give us a call anytime at 919-813-6449 or send us an email to [email protected].